Veloce ® cycling and bike rental company : Cycling vacation in Italy : bicycling from Venice to Porec (Croatia) and back by boat. Cycling vacation in Italy : bicycling from Venice to Porec (Croatia) and back by boat. Picture shooted in Venice where our company provided standard hybrid bike rental service. 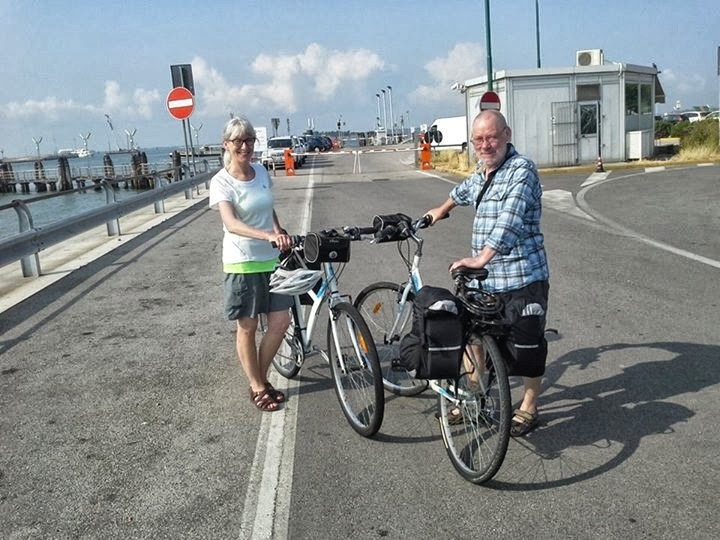 We delivered bicycles in the port of Venezia where our customers started (and finished) self cycling vacation to Porec (Croatia) along the itinerary suggested by Brigitte German magazine coming back by boat.